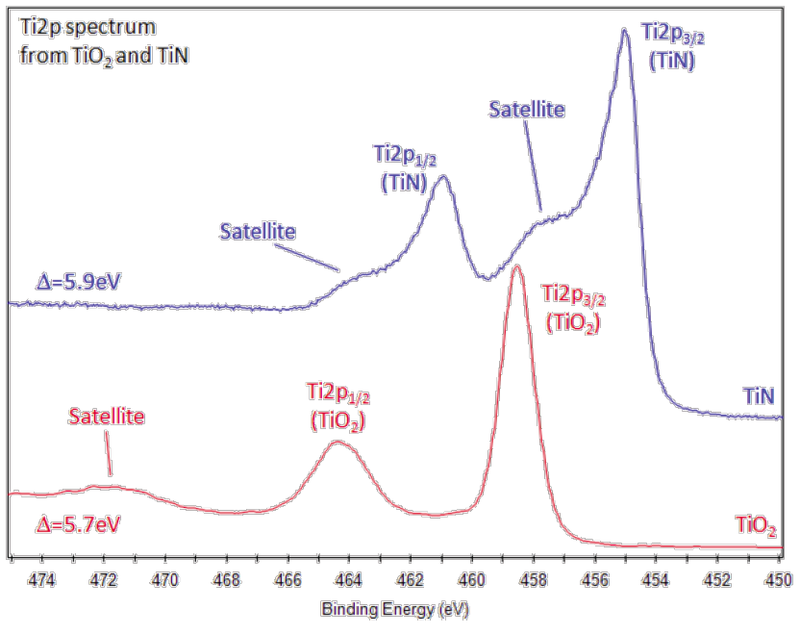 Ti metal gives asymmetric Ti2p peaks shapes o TiO2 has symmetric peaks shapes and TiN has a complex peak shape, involving satellite features. Ti2p peak has significantly split spin-orbit components (Δmetal=6.1eV). Splitting -value varies with chemical state (Δnitride=6.0eV, Δoxide=5.7eV). Typically FWHM for each spin-orbit component is the same, but for Ti2p the Ti2p1/2 component is much broader than the Ti2p3/2 peak. Consequently, Ti2p1/2 peak is much shorter than expected. Causes difficulty in accurately peak fitting Ti2p region with multiple chemical states. 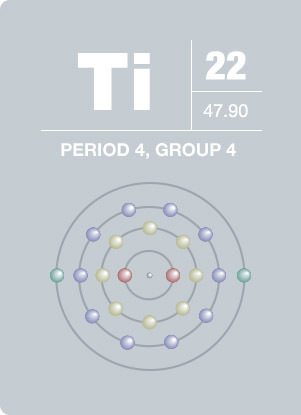 Titanium is used as a getter material for oxygen. 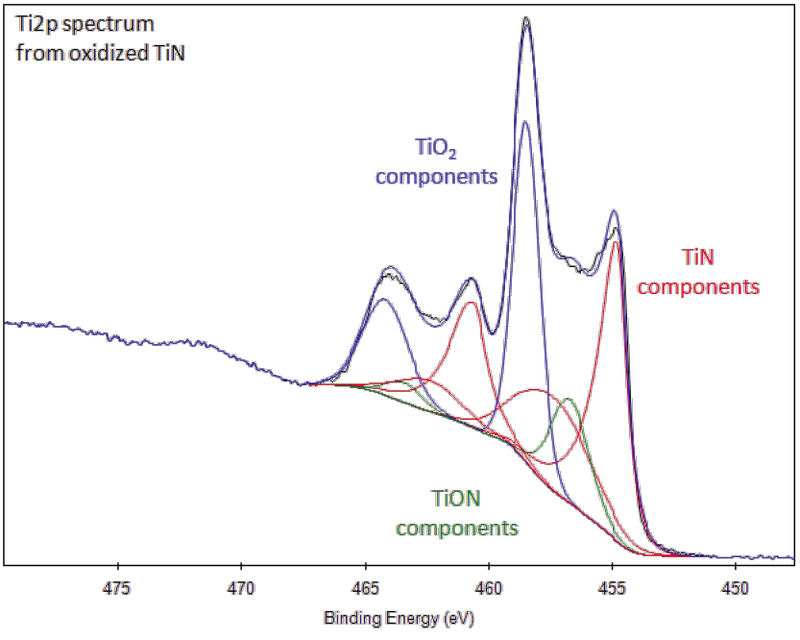 TiO2 is readily reduced by argon monomer sputtering. Sub-oxides and/or metal may be formed during sputtering of the oxide. Titanium has a very high strength-to-weight ratio and is corrosion-resistant. Most titanium is used in the form of titanium dioxide (TiO2). Its silvery metallic color makes it very useful in paints, paper and plastics. Paint made with TiO2 reflects infrared radiation, making it useful in sunscreen and to astronomers. Because titanium is physiologically inert, it is used in joint replacement implants and is popular in body piercing. Titanium is not found unbound in nature and it occurs mainly in minerals. Rocks brought back from the moon contained about 12% TiO2.